U.S.-Mexico border enforcement: Has it been effective? Illegal immigration to the United States has long been a subject of heated debate. Some argue that immigrants take jobs away from Americans, commit crimes, traffic drugs and unduly strain social welfare programs but pay no taxes. Others counter that immigrants contribute valuable labor and should have a path to citizenship. 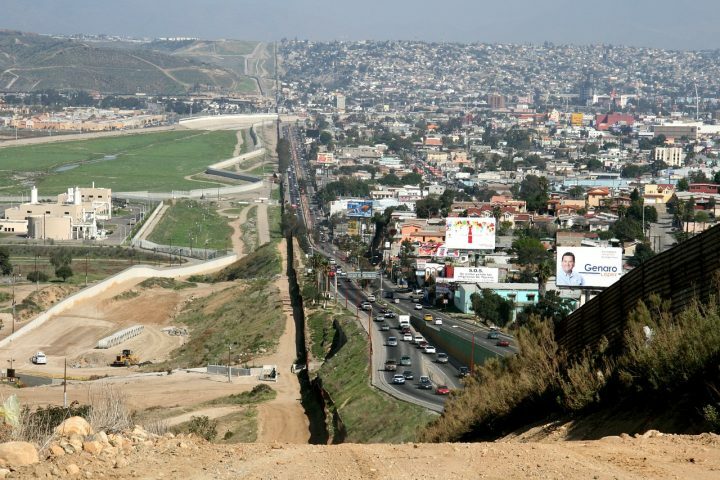 The rhetoric reached new heights during the 2016 presidential campaign, notably with Republican frontrunner Donald Trump’s proposal to build a wall along the nearly 2,000-mile long border Mexico shares with the U.S. and deport 11 million undocumented immigrants. The debate has largely focused on immigrants from Mexico because, according to the Pew Research Center, they constitute the largest single group of immigrants in the United States. The United States government began to respond to the perceived threat posed by immigrants, particularly from south of the border, long ago. Beginning in 1986, with the passage of the Immigration Reform and Control Act (IRCA), which authorized a 50 percent increase in the Immigration and Naturalization Service enforcement budget, Congress passed a series of laws that resulted in the increasing “militarization” of the border, including National Guard soldiers, drones, drug-sniffing dogs and armored vehicles. According to the Migration Policy Institute, a U.S. think tank, border enforcement cost $18 billion in fiscal year 2012. America’s current system of legal immigration goes back to 1965, when Congress passed amendments to the Immigration and Nationality Act, thereby putting the first-ever quotas on immigration. The bill set numerical restrictions on visas at 170,000 per year, with a per-country-of-origin quota. At the same time, a long-standing guest worker agreement with Mexico–which allowed foreign workers to temporarily reside and work in the country–was cancelled. Labor supply and demand needs did not change, however, so the flow of Mexican workers remained roughly the same. The difference was that now they were entering the country illegally. The result, the study authors contend, is a self-perpetuating cycle of rising enforcement and increasing tensions about illegal immigrants that is out of proportion to the flow of migrants. Study authors acknowledge these arguments have been made before, but contend that their study is the first to apply instrumental variable methods to a wide range of border outcomes and migrant behaviors to assess the impact of U.S. border enforcement. The study drew on detailed histories of border crossings compiled by the Mexican Migration Project, which since 1982 has conducted random household surveys in select communities throughout Mexico while compiling respondent-driven (or non-random) samples of households from those same communities who have settled in the United States. Data was collected using a combination of ethnographic and survey methods to compile detailed household data and gather life histories from all household heads. The Project’s database contains information on 151,785 persons surveyed in 23,851 households. From 1986 to 2008 the undocumented population of the United States grew from 3 million to 12 million, despite a fivefold increase in the number of U.S. Border Patrol officers, a fourfold increase in hours spent patrolling the border and a twentyfold increase in funding. The rapid escalation of border enforcement that began in 1986 did not stem the tide of undocumented migration to the United States but did have “powerful unintended consequences,” re-routing migrants from relatively benign crossing locations in El Paso and San Diego into inhospitable territory in the Sonoran Desert and through Arizona, thus substantially increasing the costs and risks of the journey to migrants, who increasingly began to rely on paid smugglers. Before the 1980s, Mexican migration was characterized primarily by a flow of male workers traveling to three states. But border enforcement “backfired” by driving migration into the shadows, thereby promoting the large-scale settlement of undocumented Mexican workers—who otherwise would have continued to move back and forth across the border—across the entire United States. The combination of increasingly costly and risky trips and the near certainty of getting into the United States created a situation in which it still made economic sense to migrate but not to return home, given the high costs and risks of subsequent entry attempts. In response to the changed incentives, the probability of returning from a first trip fell sharply after the 1980s, going from a high of .48 in 1980 to zero in 2010. Study authors conclude by asserting that the boom in Mexican migration is likely over. The principal driver of migration—employment growth in the United States—remains modest, whereas in Mexico the economy is growing, education levels have risen and a sizable middle class has emerged, among other positive trends. Further research: A March 2016 study, The Geography of Border Militarization, in the Journal of Latin American Geography, looks at enforcement practices and the role of violence within an increasingly militarized border region and contends that violence, not security objectives, guides border enforcement strategies. Citation: Massey, Douglas S.; Durand, Jorge; Pren, Karen A. "Why Border Enforcement Backfired," American Journal of Sociology, March 2016, Vol. 121, No. 5. doi: 10.1086/684200.